The Indian high commission will celebrate the 2nd International Yoga Day in Abuja, on June 19. FIN was informed that the event is open to all, so long they register as soon as possible via an email which has been made available in the image below. 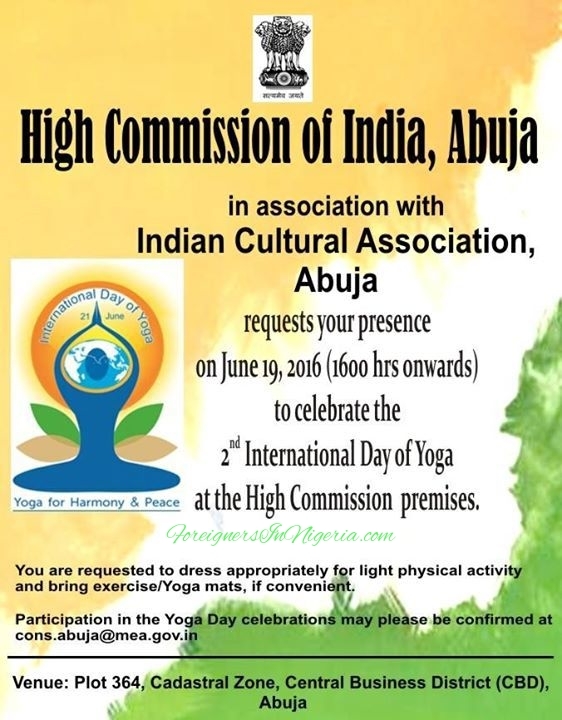 Potential participants have been mandated to dress for Yoga and clutch along with them an exercise or Yoga mat to enable them participate in the event.